Honey G is through to the Judges’ Houses on X Factor after Ivy Grace Paredes was forced to leave due to visa issues. Uh, what? As fans who watched Sunday night’s show will remember, Honey G was ejected from the Six Chair Challenge without even acquiring a seat. Despite her words, Honey G has now been picked over candidates who did receive a seat to accompany Osbourne and the rest of the Over 25 category in Los Angeles. Filipina favourite Ivy Grace Paredes could not take up her place in Osbourne’s category in time for filming due to a visa issue, which meant she was not allowed to enter the US. It was revealed last week that despite her show-stopping performance to acquire a seat, Paredes would be leaving the show. An X Factor spokesperson said: “As with all contestants travelling to the US for Judges Houses, Ivy was required to have a visa. Honey G will now join fellow Over 25s Samantha Atkinson, James Wilson, Relley C, Christopher Peyton and Janet Grogan in Los Angeles as they compete for a place in the live show segment of the competition. 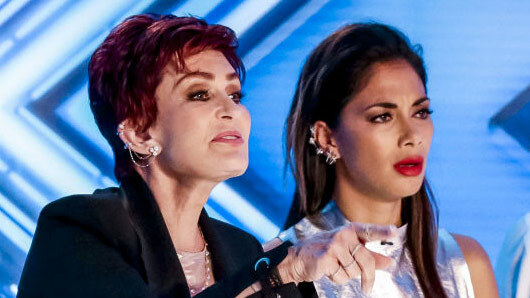 The X Factor continues on ITV on Saturday at 8pm.